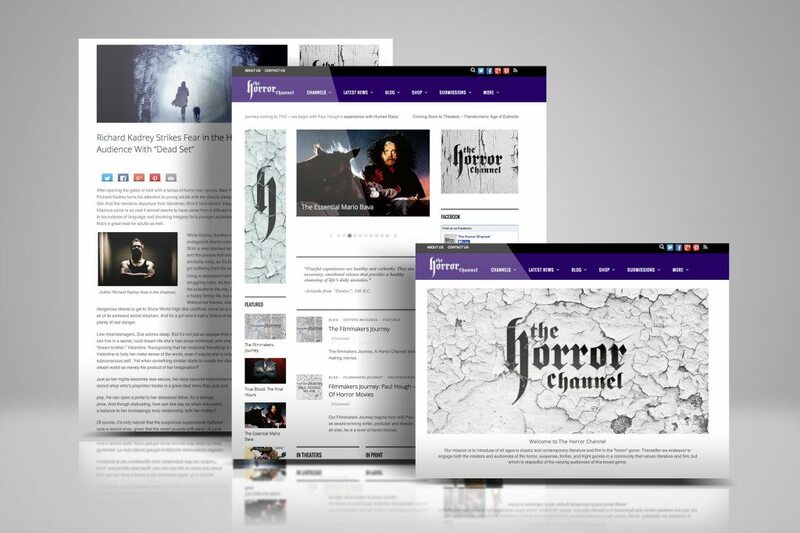 We are very excited to have completed a year long relaunch of the HorrorChannel. Working alongside founder and CEO Nick Psaltos we helped to shape the voice of the new website and digital destination. The Horror Channel’s mission is to introduce all ages to classic and contemporary literature and film in the “horror” genre. Thereafter they endeavor to engage both the creators and audiences of the horror, suspense, thriller, and fright genres in a community that values literature and film, but which is respectful of the varying audiences of the broad genre. In other words it is horror for all ages appealing to Scooby Doo fans, cult fans and mainstream horror fans.